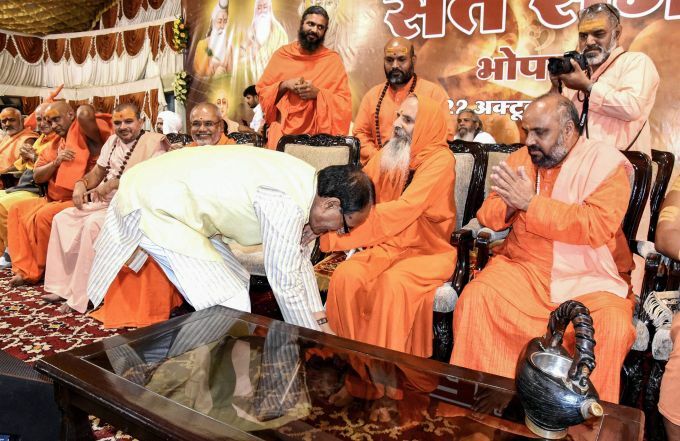 Bhopal: Madhya Pradesh Chief Minister Shivraj Singh Chouhan seeks blessings of spiritual leaders gathered from all over the country during 'Sant Sabha', organised by Raja Bhoj Ekal Abhiyan Samiti, in Bhopal, Monday, Oct 22, 2018. New Delhi: Shahnawaz Bashir, Sean Van Wyk, Senior Marketing Director at adidas India, Dave Thomas, Managing Director of Adidas Group, India, Danish Farooq, Dave Robertson, Manager and Captain Loveday Enyinnaya at the official press announcement of Adidas India’s partnership with Real Kashmir Football Club (RKFC), in New Delhi, Monday, Oct 22, 2018. Moscow: U.S. National Security Adviser John Bolton, left, and Russian Security Council chairman Nikolai Patrushev pose for a photo prior their official talks in Moscow, Russia, Monday, Oct. 22, 2018. 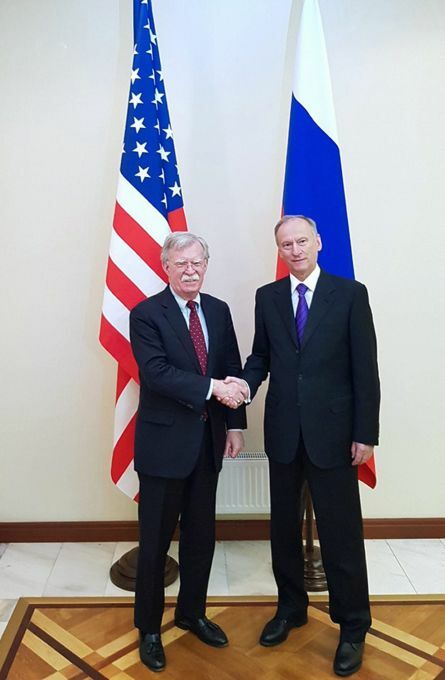 Bolton met with Patrushev to discuss a broad range of issues including arms control agreements, Syria, Iran, North Korea and the fight against terrorism. 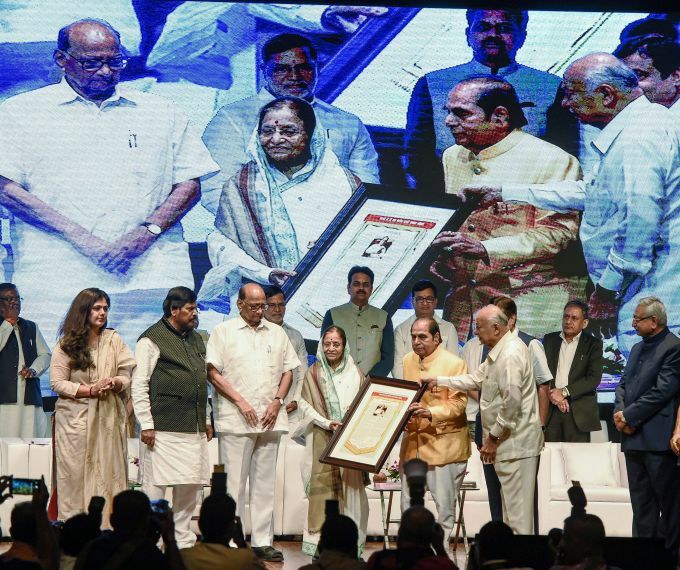 Mumbai: Former President Pratibhatai Patil felicitates former Governor of Tripura D Y Patil on his 84th birthday in Mumbai, Monday, Oct 22, 2018. 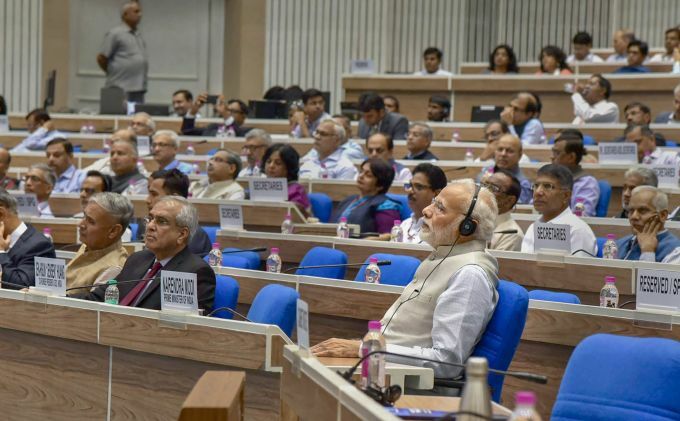 Union minister Ramdas Athwale, former ministers Sharad Pawar and Sushilkumar Shinde are also seen. 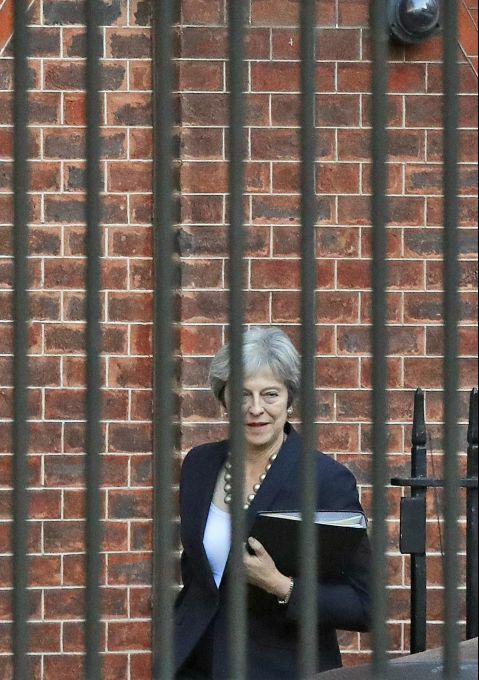 London: Britain's Prime Minister Theresa May leaves 10 Downing Street to give a statement to parliament in London, Monday, Oct. 22, 2018. May is urging Parliament to support her as Brexit looms, saying a divorce deal with the European Union is 95 percent complete.